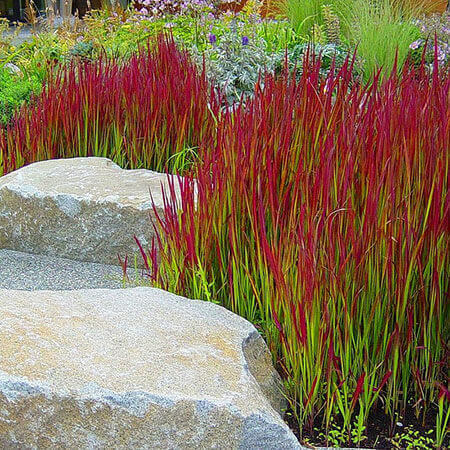 This is an attractive deciduous green based grass, with blood red tips. The red colour increases between summer and autumn. Perfect in a pot, accent or mass planting plant.